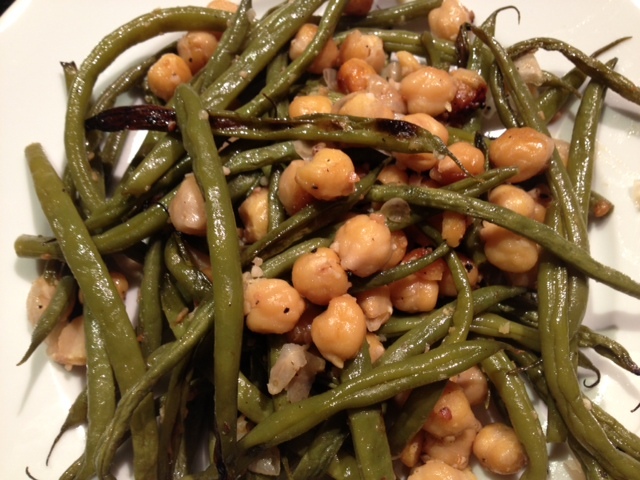 Tart & Tangy Two Bean Salad. 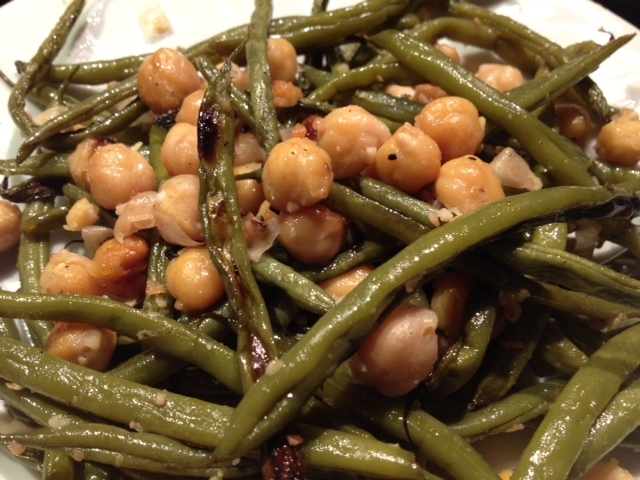 Roasted Lemon Green Bean & Garbanzo Bean Salad. 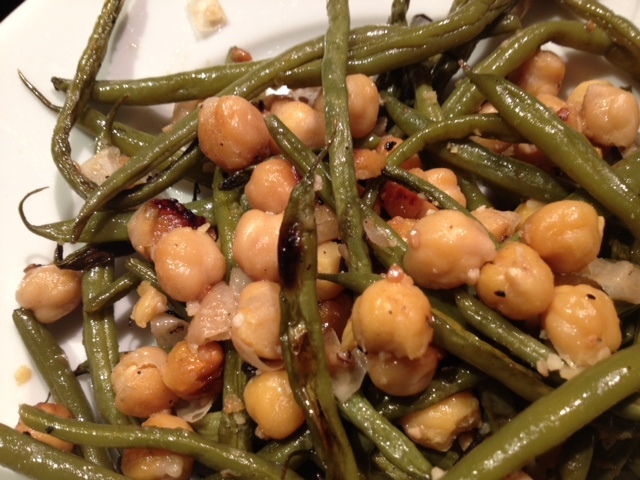 Growing up, my great-grandma would make a bean salad that was soaked in white vinegar and garlic that was one of my favorite things to eat. This recipe is reminiscent of that but instead of using vinegar I used lemon juice. The lemon juice is absorbed by the beans while roasting in the oven and the end result is a delightfully tangy and healthy salad. 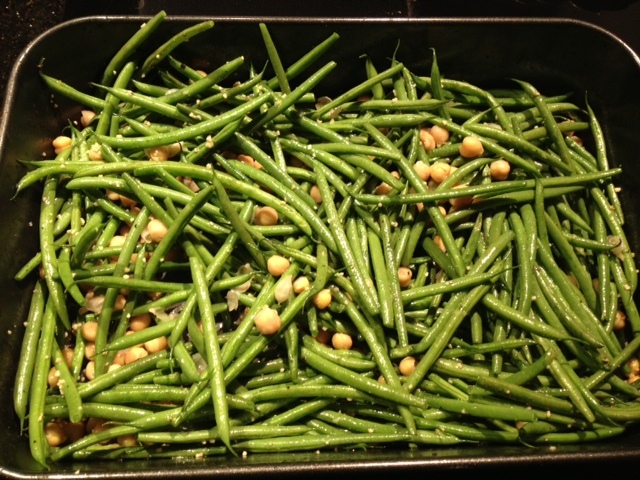 Put the green beans and chick peas into a deep roasting pan and add the garlic, lemon juice, olive oil and a dash of garlic salt/black pepper. Toss to mix all of the ingredients together. 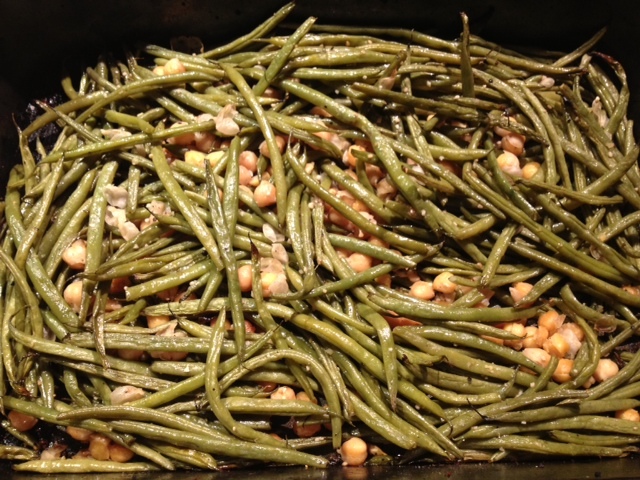 Cook the beans in a 400 degree oven for about 40-45 minutes, or until the juice in the bottom of the pan is gone and the green beans have lightly browned. ← Girl & The Goat’s Cauliflower.